The UTC Aerospace Systems’ Landing Systems site in Oakville, Ont., is Airbus' sole supplier for the main landing gear of the A350-1000, the world's newest long range widebody airliner. Navdeep Bains, Minister of Innovation, Science and Economic Development (ISED), on June 28 acknowledged the contributions to the Canadian economy through the Oakville site and its landing-gear partnership with Airbus. With 168 A350-1000s ordered by airlines around the world, the cooperation is expected to bring long-term, sustainable and high-quality work to Canada, this also resulting through the Industrial and Technological Benefits (ITB) associated with the Airbus C295 FWSAR program. The program looks to provide business beyond the duration of the current FWSAR ITB achievement period. 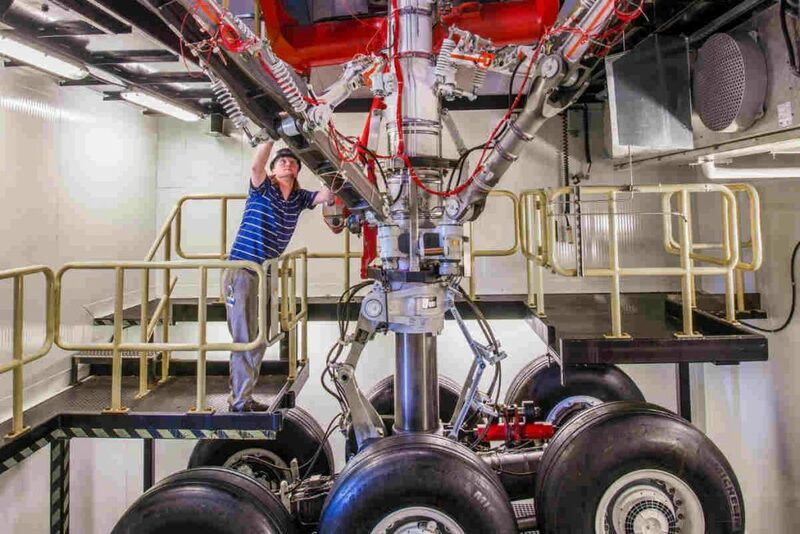 The manufacturing of the landing gear also incorporates a sizeable element of Canadian Small Medium Business (SMB) volumes, explains Airbus, thus benefitting the local supply chain. The project also supports numerous ISED goals, such as world product mandates, export enhancement, sustainable business and SMB involvement. “Airbus and UTAS have been partners for many years and this new technology incorporated into the A350-1000 widebody airliner is just another example of how we continue to support Canadian innovation,” said Simon Jacques, President, Airbus Defence and Space Canada. The A350-1000 is the latest member of Airbus’ leading widebody family, showing high level of commonality with the A350-900 with 95 per cent common systems part numbers and Same Type Rating. As well as having a longer fuselage to accommodate 40 per cent larger premium area (compared to the A350-900), the A350-1000 also features a modified wing trailing-edge, new six-wheel main landing gears and more powerful Rolls-Royce Trent XWB-97 engines. Airbus explains the FWSAR program is supporting approximately $2.5 billion in ITB value return to Canada, through high-volume, long-term partnerships with companies, such as UTC Aerospace Systems.